You can sort messages by various criteria to see certain messages first in your mailbox. This is handy when deleting messages to make room in your mailbox. Removing large messages or messages with attachments frees up the most space. 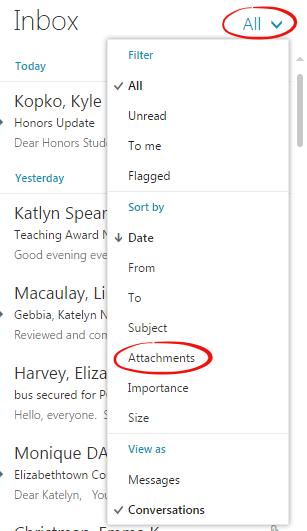 Step 1:To sort messages by Attachment size, click the arrow at the top of the Inbox next to All. 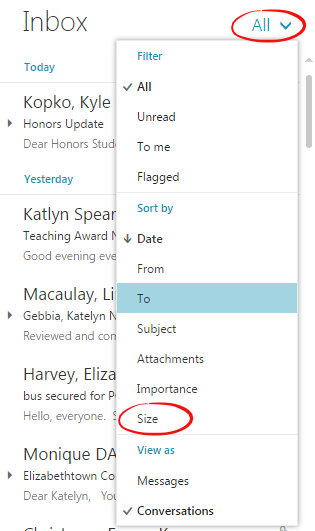 Step 3:To sort messages by Size, click the arrow at the top of the Inbox next to All.